While we spend a lot of time and money trying to rid our faces of wrinkles, one sign of aging that may sneak up on you is the dreaded chest wrinkle, sometimes called cleavage wrinkles, or “clinkles.” They commonly appear as a V-shape on the décolletage, and you may not even notice them until you wear a low cut top and they have already begun to take root. Not to worry though, there are some ingenious products and remedies you can use at home to get rid of unsightly chest wrinkles. You get chest wrinkles because of many of the same reasons you get lines on other parts of your body. The loss of collagen because of the natural aging process is one of the main factors. Collagen is a naturally-occurring protein in your skin that lets it stay firm even when it is pushed into different shapes. That leads us to our next cause of chest wrinkles, sleeping on your side. When you sleep on your side, your breasts are pushed together, and the pressure from one breast against the other causes it to wrinkle. Since your body isn’t producing as much collagen, what once wouldn’t have been a problem because your skin would adjust back to its normal shape, now causes wrinkles to form. Another major factor that causes chest wrinkles to form is skin damage from exposure to the sun; this causes premature aging and leads to the formation of lines. If you haven’t already encountered them, you may be surprised to learn that an easy way to get rid of chest wrinkles is to use a silicon pad that has a light adhesive that you stick onto your chest while you sleep. It sounds a little sketchy I know, but these pads are becoming very popular because they do work. They are affordable for most people, non-invasive (compare to professional treatments that are available to reduce wrinkles), and they are super easy to apply. They are so light and comfortable; it is hard even to feel them when you are wearing them. The only downside is they have a short lifespan and need to be replaced relatively often. Another possible issue for some users is that they may find that the pad makes them sweat a bit, depending on various factors. How exactly silicone helps to heal scars is still up for debate, but experts do agree that it does help to improve the skin and can be beneficial for reducing the appearance of fine lines. 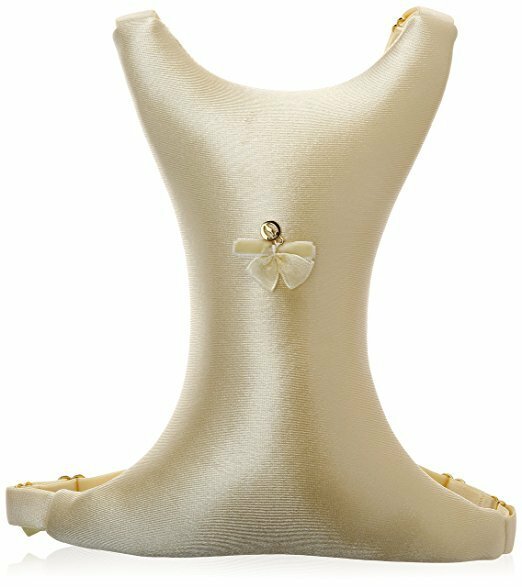 The Apricot Beauty & Healthcare Silicon Care Décolleté Pad is probably your best option if you want a product that is comfortable to wear and that will work. This pad has been available in Germany for years and has only recently been made available in the States. Women who use this product swear by it and find it very useful to help get rid of chest wrinkles. It is 100 % medical grade silicone that is extra-thin, so it is comfortable to wear overnight. It is also easy to apply and easy to clean. 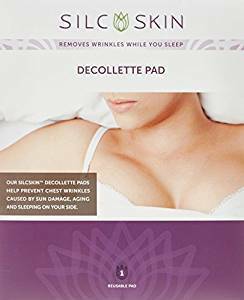 You can even use this Décolleté Pad to help wounds and scars. If you haven’t tried any of these types of silicone pads before and you don’t want to spend a lot of money these Victoria Featherlight Pads are a great place to start. There are a lot of very similar looking pads that are available, but these are pretty cheap and perform in the same way as more expensive brands. Most users find that they work well, and you get two pads for the price that you would pay for one pad from other brands. The company has overhauled their previous design to now give five sticking points, so they stick better to your chest and won’t come off, especially if you move around a lot when you sleep. These pads are washable and reusable, and they don’t contain latex or urethanes. SilcSkin Decollette Pads are another popular option if you are interested in the silicon pads. They are a little more expensive than the Victoria Featherlight Pads, but you are getting a product made of 100% medical grade silicone. They work by using the electrostatic energy in the pads to improve the collagen structure of your skin and to help increase the blood flow. After applying for a few days, you should notice an improvement in your skin tone. The Silicone should help to moisturize and hydrate your skin. SilcSkin have no latex, urethanes, or adhesives. The pad is self-adhesive but will begin to lose adhesive qualities after around 30-60 days. Once this happens, you will have to start using a new pad. SilcSkin Decollette Pads come with only one pad per box. 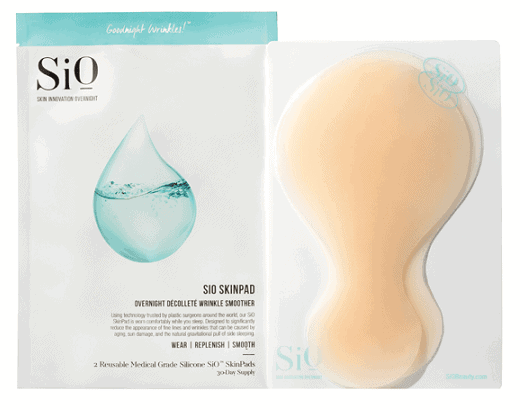 The SiO SkinPad is the latest entry into the chest décolletage pad market. It has a different design than most of the other pads that are available. The advantage of this design is that it allows the pad to reach down to the collar bone as well as the cleavage area. The SiO uses the same type of silicone gel sheeting process that is used by doctors to heal scars. In the case of wrinkles, the silicone helps to restore the hydration to the skin and generate collagen production that can prevent future wrinkles from forming. With proper care, each pad should last around 15 uses. You can clean it by rinsing it with water and mild soap to help keep the adhesive sticky. The Skinpad is made of medical-grade silicone and has a thin coating of adhesive that has been cleared by the FDA. Silicone pads are very easy to use. Generally, you use them at night before you go to bed, although you can also use them during the day. In order for the pad to stick properly, you must make sure your chest area is clean and free from moisturizers or oils. You then remove the pad from the packaging; it will have some self-adhesive. You position the pad onto your décolleté area and then go to bed. In the morning you carefully remove the pad from your chest, and you should have a smoother, softer chest area with hopefully fewer fine lines. The pad should then be placed into the storage bag that it comes with. The life-span of the various pads range from around 15 days to 60 days, and you can wash the pad occasionally in between uses if you find the adhesive not working as it should. You can tell you need to replace the pad when it starts to lose its sticking power even after cleaning and won’t stay on your chest anymore. If you sweat heavily at night, you may have trouble with the adhesive and may want to try the breast pillow (see below) instead. If you have cuts, burned, or irritated skin, do not use a silicone pad. Also, stop using the pad if a rash or irritation starts. This pillow can also work well if you are nursing or recovering after any breast-related or cardiac surgeries. Some users find that it can even help reduce discomfort from tender breasts. The pillow works well whether you sleep on your side, back or stomach. It is made of 90% nylon and 10% spandex. One big advantage that it has over the pads is that it is re-useable. 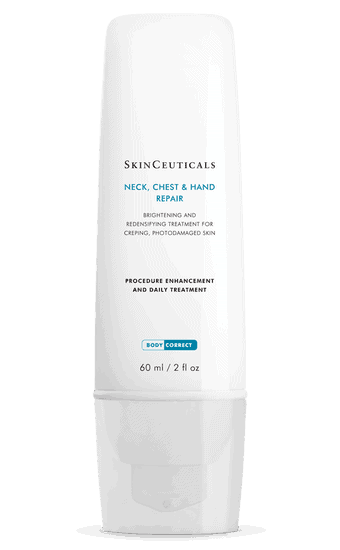 This luxury cream from SkinCeuticals is specially formulated for the neck, chest and hand areas. It contains skin brightening ingredients that can help fade age spots, lessen the look of damaged skin, and improves the texture of the skin to look more youthful. It contains no parabens or fragrances. 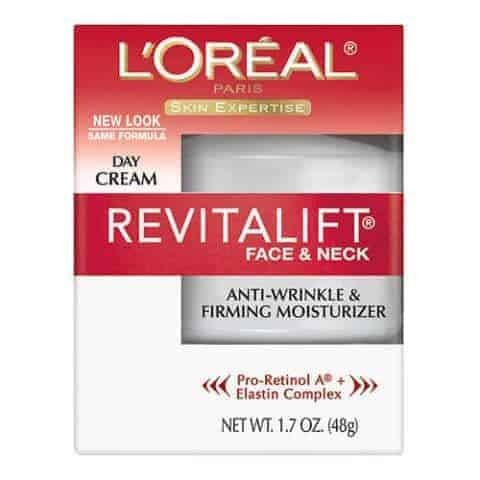 A great budget option to check out is the very popular L’Oreal Paris RevitaLift Anti-Wrinkle & Firming Face & Neck Moisturizer. It is a daily moisturizer formulated for the face and the neck, but it also works well for the chest. It contains Pro-Retinol A and Stimuplex, which will help get rid of the wrinkles and firm the skin. What else can you do to lessen chest wrinkles? Two of the easiest things to do to help you prevent chest wrinkles are to sleep on your back and to use sunscreen. Sleeping on your back will stop your breasts from pressing together and forming lines. Sunscreen will prevent damage to your skin, which as you probably already know is one of the main reasons that wrinkles form. Always wear sunscreen if your chest area is exposed to the sun.